We “Shri Organic Farming” are leading Manufacturer, Wholesaler, Trader of Organic Farming Products, Geomembrane Sheets & Cover, Agriculture Seedling Tray, Agro Shade Net and Plastic Pond Liner etc. We are a renowned organization engaged in processing Manufacturer, Wholesaler, Trader of Organic Farming Products, Geomembrane Sheets & Cover, Agriculture Seedling Tray, Agro Shade Net and Plastic Pond Liner etc. We are service provider of Cultivation & Gardening Services. 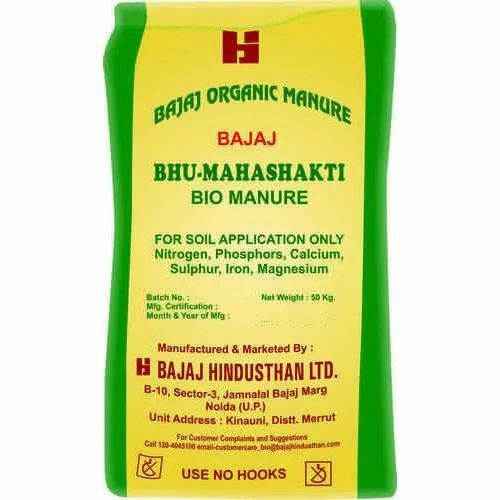 These fertilizers are very useful in promoting the growth of the plant as these are processed using quality ingredients. Known for higher shelf life, these fertilizers are stable and accurate in composition. With our proficiency in this domain, we also conduct surveys and provide farming services to our valued clients.